Just what makes the wind quintet so much fun for composers? Find out as Saint Paul Sunday host Bill McGlaughlin explores the world of musical sound-making and demonstrates instrument sounds using rubber bands, bottles, blades of grass, and a length of shower hose! 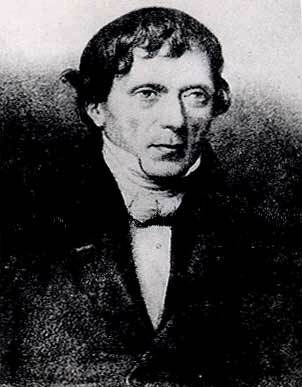 If one could make a very good case for Joseph Haydn as the father of the string quartet, there's even more certitude in naming the Bohemian-born composer Anton Reicha (1770-1836) as father of the wind quintet. In fact today, Reicha's name is known among musicians almost entirely for his essays in this form - the ensemble of flute, oboe, clarinet, bassoon, and French horn. Reicha composed often for the wind quintet, beginning with a piece he wrote in 1811 in Paris and continuing through the rest of his years to 1836. His pieces are at the very base of the wind-quintet repertoire, just as Haydn's work forms the foundation of the string-quartet literature. There's a good deal more to Reicha than his wind quintets. He was born in 1770 in Prague, the same year that Ludwig van Beethoven was born in Bonn. Reicha's father, Simon, was the town piper of Prague - this was a paid municipal position that required the piper to climb the town tower at various times of day to announce the hour by tootling. Perhaps exhausted by all the climbing, not to mention the tootling, Simon Reicha died when his son Anton was only one year old and the infant's education was left in turn to his mother, then to his grandfather, and finally to his uncle, Joseph Reicha, a very gifted musician. Young Anton, who was a flute player by this time, studied with his uncle, and when Joseph Reicha accepted the position of conductor of the court orchestra in Bonn, Germany, he took along his teenage nephew. The orchestra of Bonn seems to have been a mixed affair, and included a number of distinguished musicians with some youngsters filling in. It's amusing when listening to a provincial orchestra today to imagine that within its ranks might be two teenagers as gifted as the flutist of the Bonn Orchestra, Anton Reicha and his pal back in the viola section, Ludwig van Beethoven. Beethoven and Reicha would know each other for the rest of their lives, but the paths they followed were quite different. Beethoven increasingly turned towards Vienna and the music of Haydn and Mozart, ultimately creating his own musical universe. After much traveling, Reicha wound up in Paris after the Napoleonic Wars. He took a position teaching at the Paris Conservatoire, where the list of his pupils include practically every great composer who studied in France at that time: Liszt, von Flotow, Gounod, Thomas, Berlioz and Franck. Some of the ideas that Reicha passed on to his students were considered extremely "modern" and experimental. He imagined writing for a number of different orchestras at once, sometimes playing in different keys simultaneously. While this is not the polytonality of the French composers of the 20th century such as Poulenc and Milhaud, Reicha's concept, for example, of a string quartet playing in G major while a wind quartet played in E minor, was highly original. He also conceived of the idea of multi-orchestras; that is, various sections of the orchestra placed around the performance space in a number of different locations. This inspiration came to a spectacular fruition in the work of one of his pupils, Hector Berlioz, whose tremendous Requiem Mass actually employs brass choirs in the four piers of the church, with the orchestra and chorus near the front altar, while the tenor soloist stands high in a balcony, singing like an angel from above. Reicha was one of the most original musicians of his time and held a place of great honor in French society. He was welcomed in the most important artistic and literary salons, and one can find passages in the French novelists of the time that mention listening to Reicha's wind quintets. In his memoirs, Reicha wrote of these works: "At that time, there was a dearth not only of good classic music, but of any good music at all for wind instruments, simply because the composers knew little of their technique." While his first attempt to compose for these five instruments proved a disaster, which he quickly discarded, he soon found the knack and wrote a book of six quintets that were played all over Europe. Reicha goes on to say, "Encouraged by the success of these performances I wrote eighteen more, bringing the number to twenty-four. They created a sensation throughout Europe." It's plain that this was not merely a passing sensation - to the present day and into the next century wind quintet players will be playing the music of Anton Joseph Reicha. Olga Šotolová, Antonín Reicha: A Biography and Thematic Catalogue, transl.Deryck Viney (Prague: Supraphon, 1990). This picture of Anton Reicha is reproduced with the permission of EDITIO PRAGA (past Editio Supraphon), Bechovicka 26, Prague, Czech Republic.